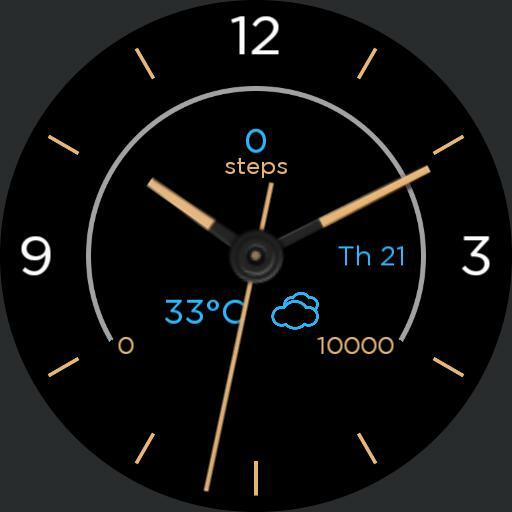 Simple fitness watch face, targeting step count, heart rate and stopwatch. Tap centre to switch screens. Step count. daily goal 10k steps. Seconds hand shows watch battery in dim.